Reducing delay and latency in the cloud computing environment is a challenge for the present research community. 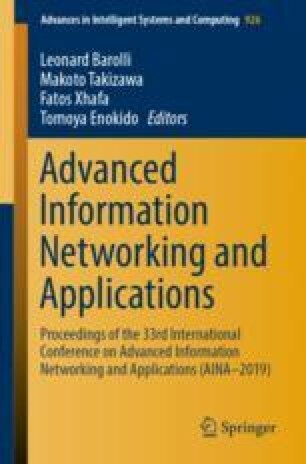 This study performed a rigorous, comparative analysis of the fog computing paradigm and the conventional cloud computing paradigm in the context of the Smart Grid (SG). To meet the consumers’ demand and optimize cloud services to achieve service level objectives is of great importance. The fog is introduced to enhance the efficiency of the cloud and to fulfill the consumer requests at the edge of the network. When the requests of Smart Societies (SSs) are huge on fog, the increased demand for real-time response is becoming a challenge for the SG. In this study, Particle Swarm Optimization is implemented and compared with the proposed techniques: Improved PSO with Lewy Walk (IPSOLW). These load balancing algorithms are compared on the basis of Closest Data Center (CDC) and Optimize Response Time (ORT). These proposed algorithms handle the load of SS on fog. The proposed IPSOLW handles more requests because of LW, the requests are directly allocated to best DC.